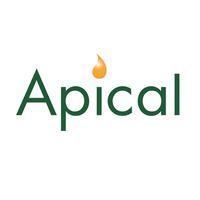 Apical Group Ltd (www.apicalgroup.com) is one of the largest exporters of palm oil in Indonesia. The Group operates four refineries, one biodiesel plant and a crushing plant in Indonesia and China. Our new refineries use state-of-the-art technologies, reflecting our commitment to developing world-leading facilities and products. Apical Group saat ini membutuhkan kandidat sebagai "Management Trainee"
isi subjek dengan "Management Trainee"